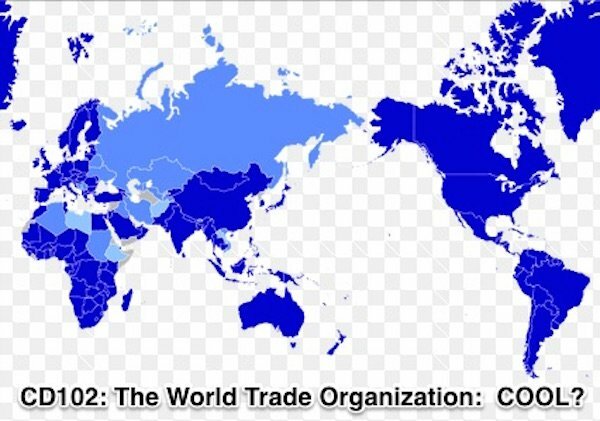 CD102: The World Trade Organization: COOL? Do you want to know where your food comes from? Well, Congress is in the process of repealing our Country of Origin Labeling (COOL) law because the World Trade Organization says our meat labels are internationally illegal. In this special episode, we take a look at the World Trade Organization: What is it? Where did it come from? How is it possible that it is determining our laws?